Hello and HAPPY FriYAY!!! I hope you have a FANTASTIC day and a WONDERFUL weekend! I'm heading out at 5am tomorrow morning. I'm scheduling daily posts here on my blog so be sure to check in! Today...I'm back with those cards I wanted to show you that I made with the Gallery Grunge and the Floral Frames sets! I hope they INSPIRE you!! 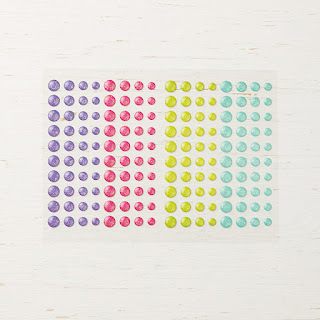 For me, it was a really fun way of creating...I choose two stamp sets and used EVERY stamp in each set! I'm determined to get ink on all of my stamps this 2018-2019 Catalog season and this was a great way to get it done! This card uses Blueberry Bushel ink and cardstock as well as Blueberry Bushel 1/8" grosgrain ribbon. I also added a second bow with the Silver Baker's Twine. 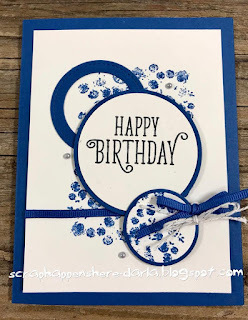 I wanted this card to be masculine and I needed it to be a birthday card so I did use the Happy Birthday Gorgeous stamp set for the sentiment. The background is from the Gallery Grunge stamp set! Super fun and easy card to make! This card uses Whisper White & Pacific Point cardstock. 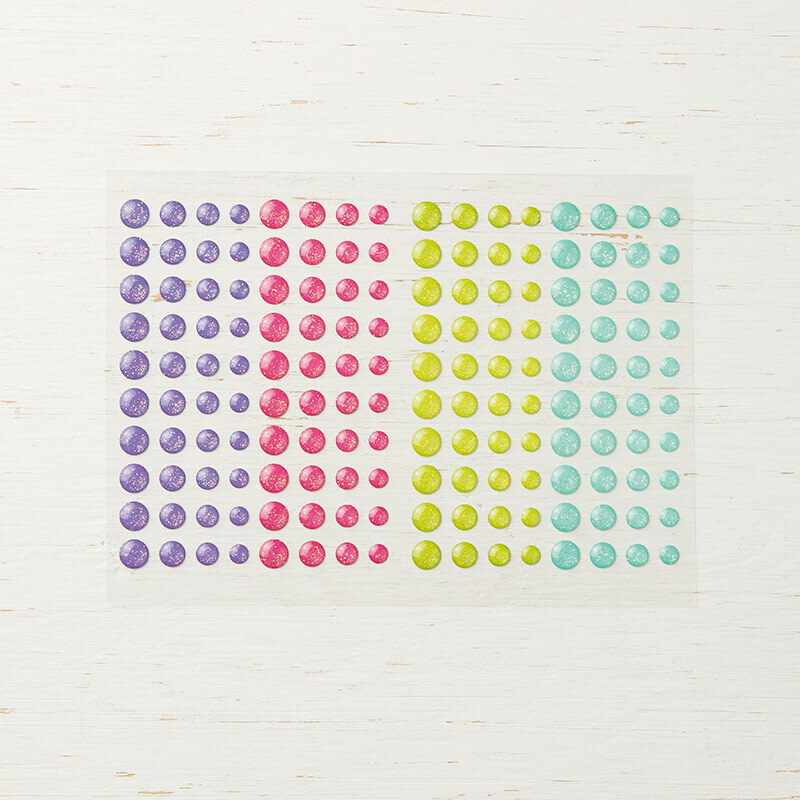 The first mat is embossed with the Polka Dots embossing folder (LOVE that folder)! 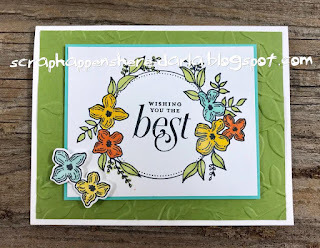 I inked the background with my Coastal Cabana, Bermuda Bay and Pacific Point Stampin' Write Markers (the brush ends). 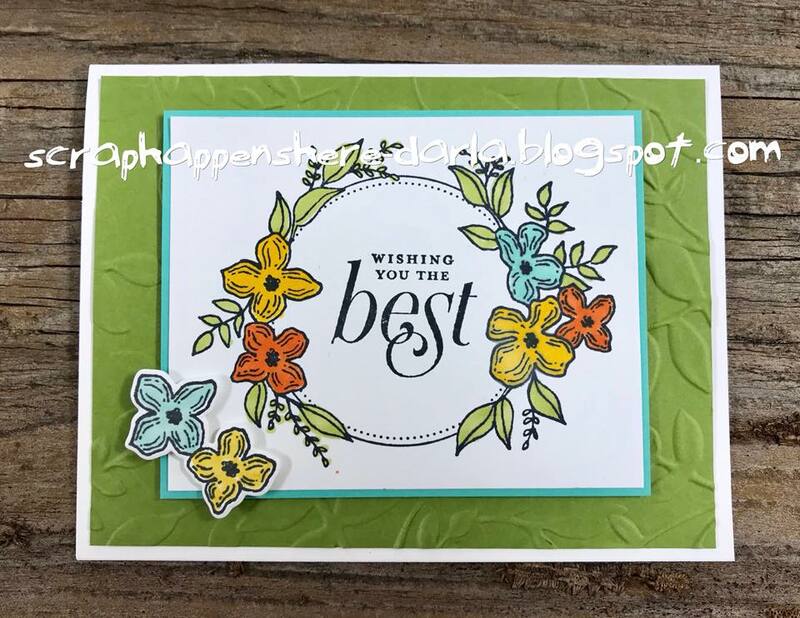 The HELLO sentiment is from the Floral Frames bundle and is stamped in Coastal Cabana ink. I added some Glitter Enamel Dots (also Coastal Cabana) to finish it off! Clean, simple and EASY! This card is one of my FAVORITES! 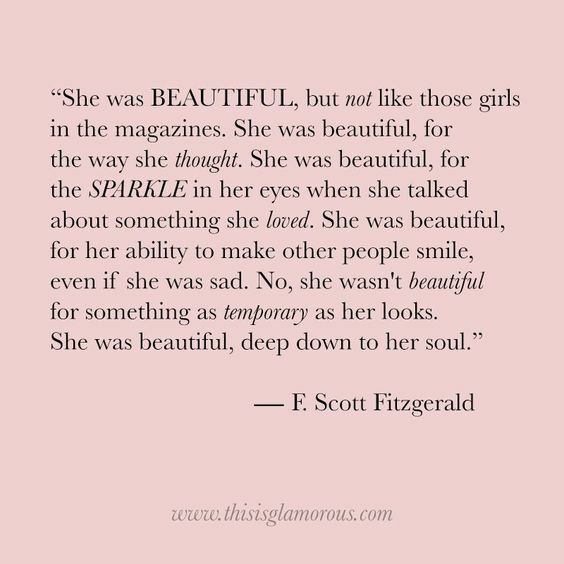 I could give it to my husband, my kids or a friend! The background looks like a postal stamp to me and that's why I chose to use it with the Sending Love sentiment! My Whisper White mat is embossed with the Ruffled dynamic embossing folder! I LOVE the way it looks! Since I'm SENDING LOVE, I used Poppy Parade ink and cardstock for this clean and simple card! Here's one last card! It is created with the Floral Frames Bundle! The image is stamped in Memento Black Ink then colored with my Stampin' Blends Markers. The Old Olive mat is embossed with the Layered Leaves dynamic embossing folder! I also stamped the two flowers, colored them and cut them out with the Floral Frames Bundle framelits then attached them with dimensionals! This card has no bling and is still beautiful...plus it won't cost extra for postage! Okay...that's it for today! I hope you've enjoyed all of the cards I've created with the Gallery Grunge and Floral Frames stamp sets! I hope you are INSPIRED to create AND I hope you find time to do just that this weekend! Thanks for stopping by and allowing me to share what I love to do...with you!